The headline inflation figure jumped to 2.3% in February. Figures released today show that inflation has risen by much more than expected; the main drivers of the rise (from 1.8% in January) were food and fuel prices, but ‘core inflation’, an indicator that strips out volatile food and energy prices, also jumped more than predicted. Economists expect inflation to continue to rise and the ONS also reported the biggest increase in factory gate prices in more than five years. These figures underline the case that Unite has put for a 4% minimum pay increase in the housing sector. The response of City economists is summed up by ING’s James Smith quoted by the Financial Times (pay wall) “2017 looks set to be an increasingly tough year for households.” Surveys of Unite members in the housing sector have repeatedly revealed a picture of people increasingly struggling with debt and rising housing and transport costs. In the light of today’s figures the TUC has warned that Britain is, “sleep walking into another cost of living crisis”. Pay in the UK has been squeezed in recent years but there is no good reason for Housing Associations to be part of this employer’s offensive. Housing Associations in England delivered a record surplus of £3.4 billion last year. After completing the Inside Housing Gary Moreton of accountancy firm RSM observed “the sector is optimistic and ready for any future challenges” while Standard and Poors confirmed that deregulation will not result in any downgrade of housing association credit ratings. Unite rejects attempts by associations to squeeze pay and conditions of workers and welcomes Clarion housings retreat from their disgraceful move to deny workers sick pay for the first days of sickness. 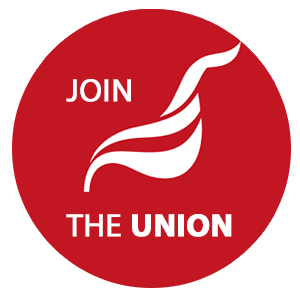 Unite executive member and Unite LE1111 branch secretary Suzanne Muna commented; “our members in housing are telling us that ‘enough is enough’, serious pay increases in the sector have become a matter of urgency. We need 4%, otherwise as inflation rises we will be suffereing real terms pay cuts”. Members have been giving a resoundingly positive response to 4% pay claims in the sector.